Is there nothing the beauty industry won’t try to shame us about? Then my eyes rolled out of my head and I had to spend some time patting the floor to find them. Okay, I’ll be the first to admit that I am not the target market for this gym. I wear make-up sometimes, mostly because I like the ritual nature of putting it on. I use moisturizer so my face doesn’t feel tight, but I am not regularly checking out the mythologized ‘7 signs of aging’ (according to the Oil of Olay prophecies). I’m not even sure what those signs are. 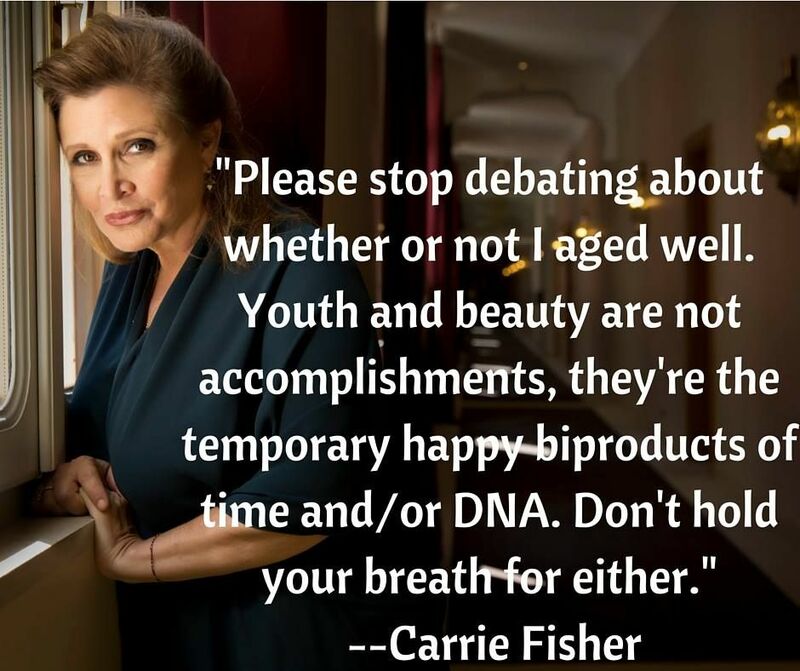 I get irritated by the idea that I am supposed to want to look younger. In fact, I get irritated by the whole idea that youth is an aspirational thing in any way. I’m with (the late) Carrie Fisher on the whole thing, really. And it’s not that I don’t get why things like a ‘face gym’ feel important – we’ve all been sold on the idea that our faces are our fortunes and the most youthful possible versions of our faces are worth even more. Every message we get is that youthful beauty is the only way we will be ‘worth’ anything in the world. But if we don’t push back against some of these ideas then we will spend even more time chasing perfect appearances – as dictated by someone else – and we will have even less time to do the cool stuff we are actually here to do. We have inherent worth and the more of us that stand up and say that, the easier it will be for everyone to take up their space. The thing is, I don’t exercise because of how I will look, I exercise because of how I will feel. And getting poked and prodded at a face gym does not sound like exercise and it does not seem like it will feel good. If a face gym sounds like something you need, go right ahead, but understand what you are buying into – the idea that you are not good enough the way you are. Here I am doing one of my personal face gym exercises – full smirk. i am probably also causing wrinkles. The HORROR! I’d rather see you buy into the idea that you are not a damn decoration and your face is terrific just as it is. PS – I didn’t even get into the whole nature of the privilege involved in being able to spend $70 for someone to rub rocks on your face. That is a whole separate monster. 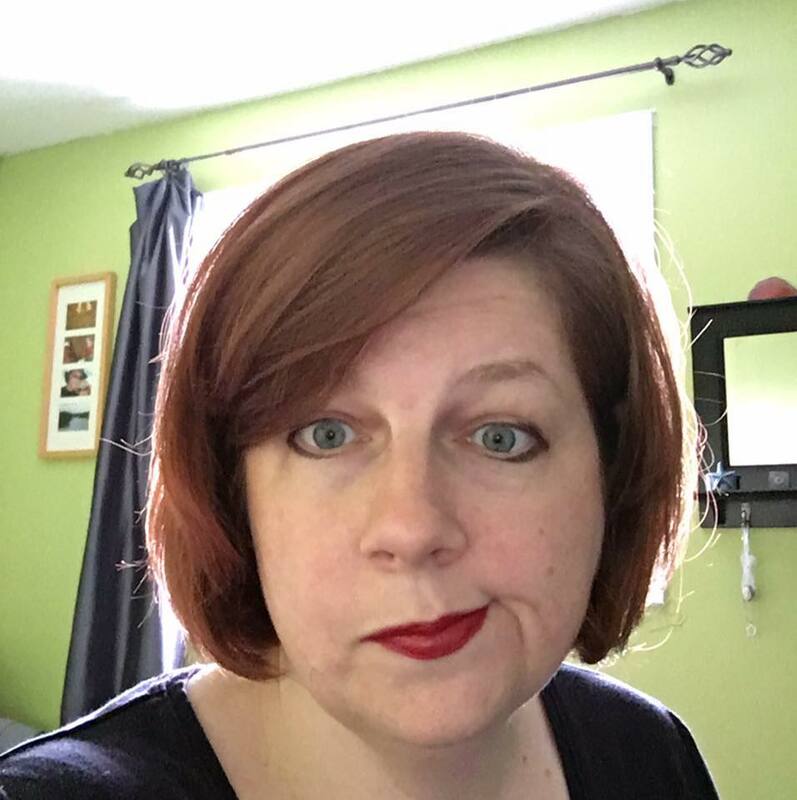 PPS – Besides, I am pretty sure the idea for the face gym was stolen from my Great Aunt Lucy who was telling my mom about how to pat her face to stay youthful over 50 years ago. Ha! Next Post Make it weird: How would you describe YOUR fitness activities? This reminds me of two things. First, face exercises designed to get rid of double chins. I think I started doing those (to no effect) in high school. Second the admonishment from various people in my life not to make certain expressions for fear of wrinkles. Oh oh oh, and of course botox. The chemical version of face exercise! I remember that ‘double chin’ advice from magazines – that’s how I ended up talking to my Mom about Aunt Lucy’s advice! Oh and I’ve been advised against facial expressions, too. They’ll try anything to keep women in a narrow range of existence, hey? Glerg.